Above is the concept version of the Brammo Empulse, the most promising electric motorcycle yet. This is the production version. This post is off topic, but it needs to be said. 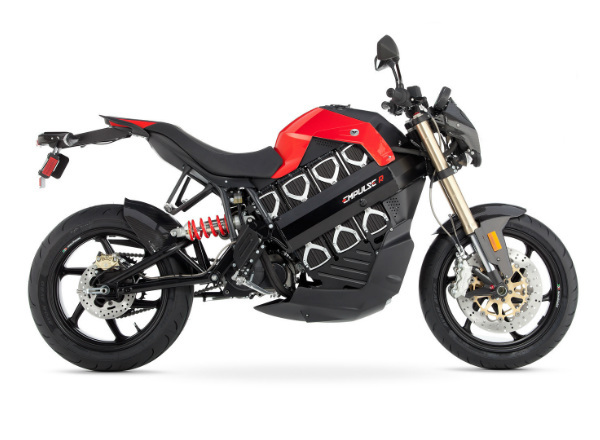 The production version of the Brammo Empulse is one of the biggest letdowns in recent memory. The last time I was this disappointed by the transition from concept to production vehicle was the Chevy Volt (don't get me started). 1. Seat went from badass to lameass. 2. Rear fender went from unique to ordinary. 3. Bars raised from clip-ons to mountain bike. 4. Mirrors were added (I know that is necessary, but that doesn't mean I like it). 7. Rear swingarm loses the sheet-metal and some visual heft. Ends up looking chintzy. Again, like a mountain bike. 8. The biggest problem is the loss of parallel lines. The concept had an amazing set of lines, starting with the main frame beam. That line is mirrored by the bottom of the bike, the rear shock and the top of the swingarm. 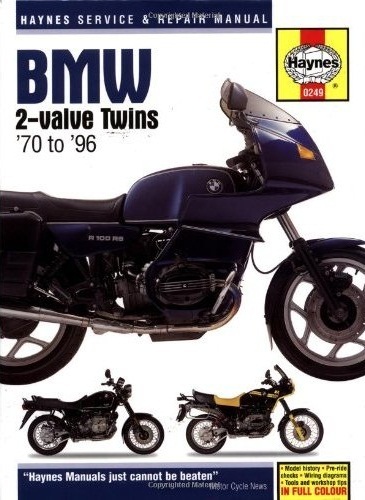 The production version totally loses that look, with the biggest problem being the rounded bottom of the bike. It looks pregnant to me, with too much plastic. And the more I look at it, the less I like the rear shock. It just looks a little off. Back to the BMW next time. I am intrigued by the exhaust on this bike. I don't like how it terminates, but how the two pipes come together is interesting. It also shows what clip-ons look like on the bike. This bike also has interesting exhaust routing. The air filters are cool and it has a chopped version of the stock rear frame, which would be easy to duplicate. This bike has the wheels I like in black. I think it's a great look. The modern rear suspension is pretty cool as well. This one has something interesting going on with the exhaust, but I can't quite tell exactly what's happening. Wish I could find more pictures. I like the pointy rear end and the conversion to a mono-shock. Cone filters look good. Cool rear suspension and seat arrangement. Exhaust is interesting. This is the first thing I bought for the bike (aside from the books). I think it will come in handy. Hopefully you already know how essential penetration and lubrication are for your nuts. I hope to start using it soon. 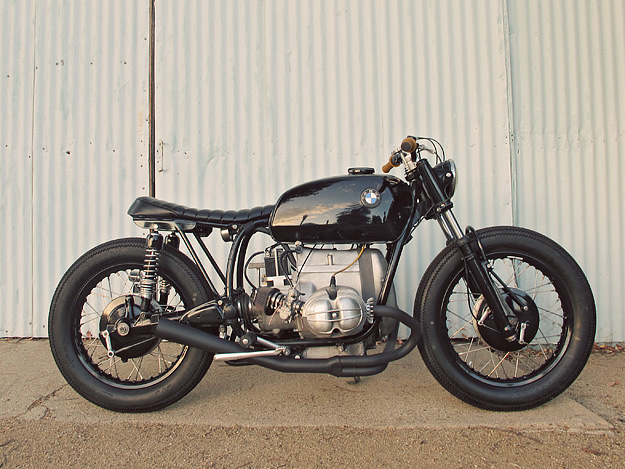 My original plan for the BMW was to bring out the angle grinder, tear the bike apart and turn it into the cleanest, most badass cafe racer this side of the Atlantic. No mercy. And also as little money as possible. Since then, I've changed my tune a bit. Seeing the previous owner's attachment to the bike gave me pause about hacking it up. I am also not one to mess with things that work, so my current direction is to simplify the bike, but whenever possible, retain the ability to return it to basically stock condition. My biggest gripe with the look of the bike is the big rear end/seat. I thought the only fix would be to chop a foot off the back of the frame. I then discovered the rear frame section simply bolts to the front section. This means I can remove it with nary a spark and set it aside. Meanwhile I can hopefully fabricate a rear subframe exactly like I want. This philosophy is spreading to other components too. I am leaning toward buying duplicate versions of things like the exhaust and hacking those up instead of the stock ones. I know that will add cost, but I will feel better knowing I can always go back to stock if a particular modification doesn't work out. Bars: I want to lower the bars. I think this is the fastest, easiest way to dramatically change the character of any motorcycle. Rigging up some clip-ons could be neat, but I am leaning toward bolting on some clubman bars, especially because the bike has a really clean mounting mechanism already, and I would like to keep that. Wheels: The wheels on the bike are rusty and spoked. I'm not a big fan of spoke wheels, and they are probably unsafe. Fortunately, BMW made some really nice looking "snowflake" cast wheels for these motorcycles, and I am leaning toward finding a set of them. I think it would be a direct "bolt-on" and they look fantastic in black. Intake: I desperately want to eliminate the black plastic intake tubes (as seen in the lead photo). I will probably go with a set of small cone filters (similar to lead photo #2), but I plan to keep the airbox housing in place. I think that piece is necessary to complete to look of the bike. I might put the battery there, as in the second photo, but I will make sure it fits within the housing. I may even try to smooth out the holes on the side of the housing that currently connect to the intake tubes. Frame: As I mentioned earlier, I plan to try to build a new rear subframe for a clean look. It might also be fun to try to convert this thing to a monoshock, but that is not a priority. Exhaust: My other big problem with the look of the bike is the exhaust. I'm not a fan of the big muffler on each side, and I really don't like how they cant upward. A lot of bikes do this, and I just don't like it. I want to do something shorter and cleaner. Ideally it will terminate in a somewhat large diameter piece of tubing, cut at an angle. I think this is the cleanest, most honest and most badass way to terminate exhaust pipes. No chrome, no nothing. My Camaro had it, my SVT Focus had it, and even my Golf TDI has it. Come to think of it, every car I have ever had an ownership stake in had this type of exhaust outlet. Interesting. I think I appreciated the look the most on my Focus. So that's the plan for now. 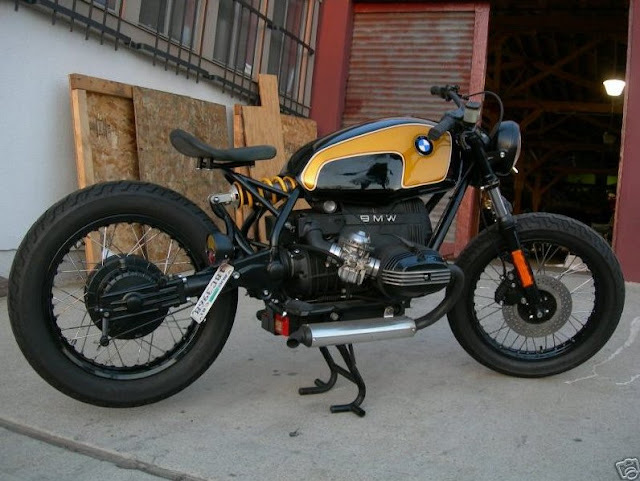 I think my next post will show some bikes I have been looking at for inspiration. It is really important to go into the DMV with a good attitude. And an appointment. I made an appointment to visit the DMV the Tuesday after I bought the BMW. I showed up. I presented my papers. I clenched my sphincter in preparation for the $600 bill to come out. He shuffled my papers. Hemmed and hawed, referenced the computer, referenced a five inch thick binder full of codes for their system, referenced the computer and asked for $153. Score! "I'm sorry, could I actually file for PNO?" More shuffling, more referncing. $90. Hell yeah. I was prepared to feign ignorance and poverty to weasel my way out of the bill. This was too easy. The only catch was they wanted me to bring the bike in for a quick verification, which would be no easy task with 470 lbs of inanimate motorcycle and no truck. I said thank you and was on my way, already thinking about how to haul this thing in. The next day at work I began the planning. I had already signed up to display something at an upcoming lunchtime car show the next Friday. When I signed up, I didn't know I would have this thing, but it was the most interesting vehicle I had, even in its current condition. If I was bringing it to work event, I had justification to borrow a work truck to haul it in (I didn't want to take too much advantage of my buddy) and if I already had it in a truck, there would be no harm in taking it by the DMV... Some quick begging negotiating with a co-worker netted the use of a Tacoma on the Friday in question. I also arranged to borrow the ramp and straps from my friend (that doesn't count as taking advantage). On Friday, August 17th, I had my wife help me load the BMW into the truck and I went off to work. I got comments on the bike all morning, which was still sitting in the back of the truck in the parking lot. 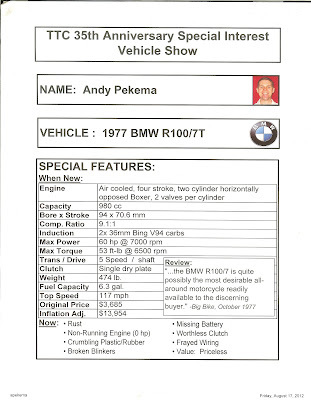 I printed out my information sheet on the bike and headed to the car show. I unloaded the bike and instantly had a crowd. This thing was the star of the show. Everyone loved it. The big opposing cylinders and the giant lump of an engine give it so much character, it's hard not to love it. I think the patina on the bike also draws interest. After the show, I beat away the fans, loaded up the bike and raced over to the DMV where I had, luckily, made another appointment. I was led to believe the verification would be quick and easy. Not so much. The verification itself was actually pretty simple. The problem was that after the verification you have to go to the counter again and wrap everything up. This is where the appointment came to the rescue. It is amazing that there is pretty much always a three hour long line at the DMV without an appointment, or a five minute line with an appointment. I'm not sure who is at fault; the DMV for not being able to handle walk-in in a timely manner, or the patrons for not just making a simple appointment. Anyway, when I got to the counter and handed the fellow all my old paperwork, along with the one new verification sheet, the hemming and hawing started all over again. Lots of referencing of computers, logs, and coworkers. Apparently something was fishy. Big surprise. Eventually I was informed there was something going on with the bike under the previous owner, and I had nothing to do with it. The only thing was the issue needed to be reviewed back at headquarters. Apparently Sacramento wants to look things over and I should hear back in three months. Next time, I will try to share my vision for the project; at least the current vision. 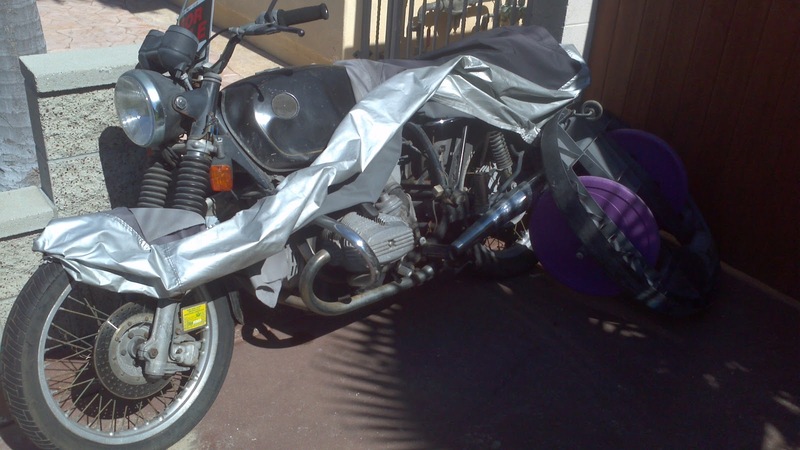 As soon as I took possession of the motorcycle, I knew I needed support. I headed to Amazon and couldn't decide between the Haynes guide, which I have used before, and the Clymer version, so I bought both. After receiving them, the Clymer version is definitely more detailed, but not quite as easy to follow, so I am glad to have both. I plan to cross reference to make sure one isn't making stuff up. Now, I promise the next post will be about the DMV. After receiving word the seller had the title in-hand, I realized it was time to do a little research. The first place I went was the California DMV website and the Vehicle Registration Fee Calculator for used vehicle purchases. That revealed there was $582 in back registration from when it was last registered in 1998. Apparently the owner did not pay the approximately $10 to register the bike as "Planned Nonoperation" and the consequence is almost $600, 14 years later. This was obviously pretty intimidating, but I was prepared to use it in negotiation on the price, and equally prepared to piss and moan at the DMV until they dropped the fees. My next stop was craigslist and ebay to try and find what an appropriate price would be. Depending on condition, I found prices ranging from $750 to upwards of $4000, and this bike was definitely on the lower end of that spectrum. For some illogical reason, I still had the original price from the for sale sign in my mind, $1900. Anchor prices are definitely real. I was determined I would get out the door for that much or less, including the potential $600 in DMV fees. I went to see the bike on August 4, 2012. It was every bit as decrepit (as my lovely wife pointed out) and spectacular as I remembered. I had to have it. My wife advised me that every single component needed TLC, and I was fine with that. 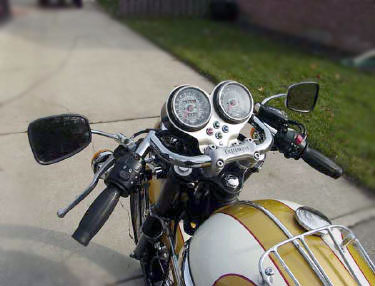 I had invited a friend of mine who is a pretty avid motorcyclist, and, like my wife, he pointed out a litany of potential problems (like the world's stiffest clutch and the refusal to go into gear), but I was blinded by bike. Not to mention the fact that I was clearly meant to have this bike. Why else would I stumble upon it on one of my final walks in the neighborhood? I didn't go out looking for a motorcycle. One word: destiny. It was negotiation time. The owner asked me to make an offer. I explained the prices I had seen online and he agreed this thing was on the lower end of the spectrum. He suggested $750 (score! ), but I played it cool. I brought out my trump card of the DMV fees. The seller was quite displeased with the DMV over this and almost backed out, saying that if he gave me that big a discount it wouldn't even be worth it for him to sell it. I quickly brought him back off the ledge and offered $600 and I would deal with the DMV. We shook hands and I sent my buddy to get his truck while I went to the bank for cash. I returned a short time later, filled out the appropriate paperwork and loaded my new motorcycle into the truck. This is when the seller started getting a little nostalgic. He was a super nice guy, and this motorcycle had played a big part in his life. He was practically saying goodby to a child. This could have a big impact on how I complete this project, given that he requested I keep him updated on the progress, and I plan to oblige. I will feel a little bad hacking up this thing that means so much to the guy. The picture above is the bike in my garage, right where it belongs. It only took 10 months and 40+ emails when it was all said and done. Finally, a big thanks to Eric for the use of his truck, ramp and straps. You are a life-saver. Also, an even bigger thanks to my wife for understanding my need to have this motorcycle, despite the fact that I already have a perfectly good one. I am lucky to have a girl like her. Next time, my adventures at the dreaded DMV. It was early October 2011. I was on the verge of being "laid-off" at Northrop-Grumman and had already accepted an offer to work at Toyota. I was feeling good on my usual mid-day stroll through a Manhattan Beach neighborhood and couldn't stumbled upon this beauty of a motorcycle with a FOR SALE sign on it. I am no expert on BMW motorcycles, so I snapped a couple pictures and headed back to the office to do some research. The sign said it was a 1985 BMW R1000 and the asking price was $1900. I quickly learned that particular model of motorcycle does not exist. The next day I went back to do some further research. A little research revealed this was a great bike in its day and the basic design was used from 1970 through 1996, so parts are readily available. 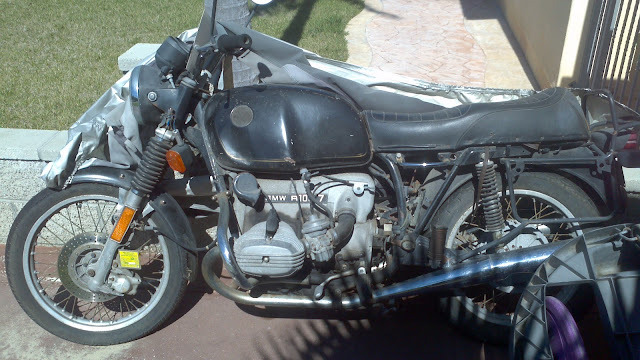 It seemed this would make a great project bike, with the obvious centerpiece being the giant lump of an aluminum engine. This bike has character. I called the number on the sign and spoke with the owner. He bought it in 1978 and parked it years ago. I asked about the price and all he said was he would give me a great deal, which sounded a little off, but I didn't worry. I knew my master-negotiator skills could take care of that. The next question was on the status of the title. I had just gone through a miserable experience trying to register my last car purchase and was not interested in going through that again. He told me he did not have the title, but he would try to get it. 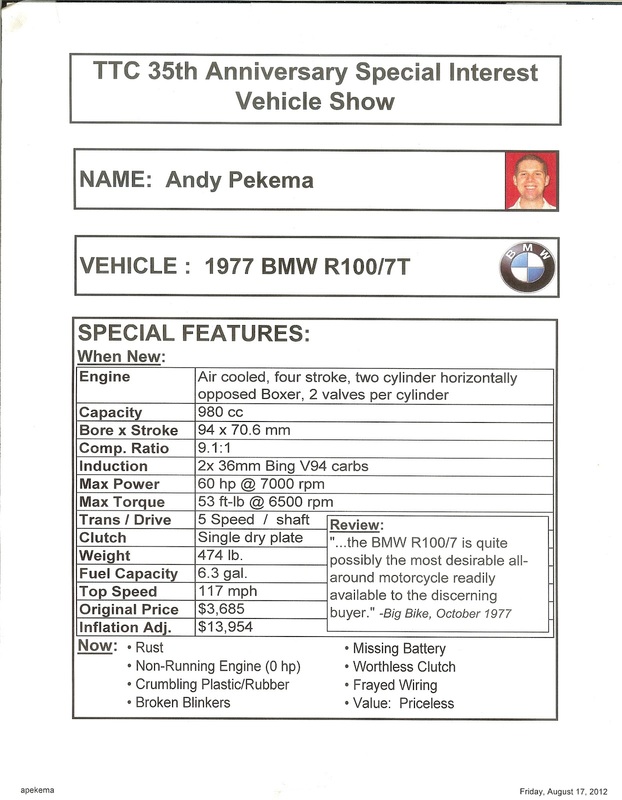 Over the course of the next 10 months I would periodically email the owner and inquire about the status of the title. It was quite an ordeal involving the California and New York DMV. He almost gave up at one point, but I phoned the DMV, got some information and pointed him in the right direction. The email chain reached 30+ messages by the time he finally got the title. I will describe the purchase process next time. Welcome to the Pekema Projects blog. 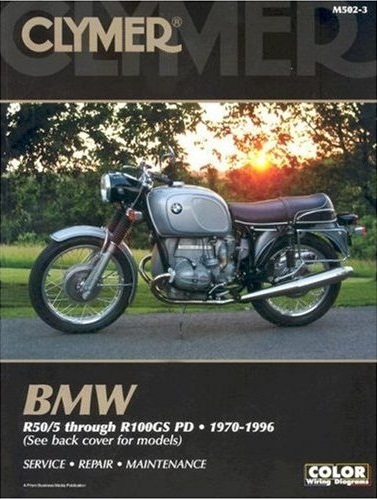 The plan is to chronicle the story of our first house, the restoration of a 1977 BMW R100/7 motorcycle and whatever else we feel like.